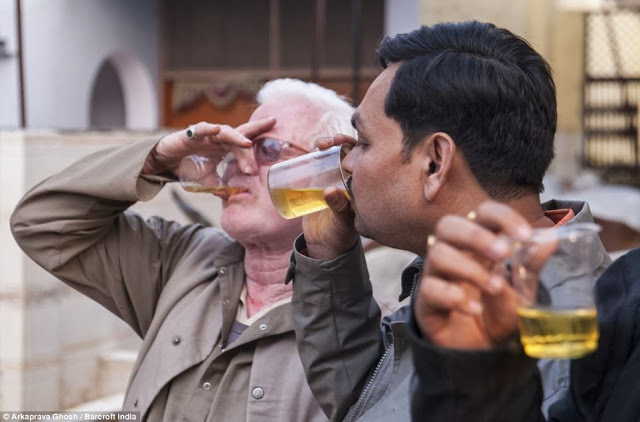 Believers drink Virgin cow urine to cure cancer, blindness. Would you drink it. People go heights for good health. 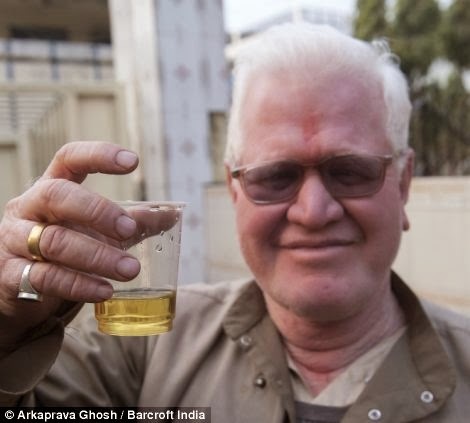 A group in India now drink virgin cow urine for cure of cancer. According to DailyMail, the Hindu believers regard the cow as a holy animal and say her urine has divine healing properties. However, they insist that the cow whose urine one has to drink, should be a virgin – she must not have delivered a calf. Also, the urine is to be collected just before sunrise – that’s the urine that has the best effect. ‘Lots of people come here. And of late, the numbers have been rising. We all gather in the morning and drink fresh urine that Mother cow offers us. Just a few years ago, there would hardly be anyone interested in taking cow urine from our shelter. But today lots of people come to our cow shelter. There are cancer patients sometimes – they want to see the benefits of cow urine. It is just a matter of time before people realise the utility of cow urine. Singhal is now eyeing to cash in on the growing trend and has plans to start manufacturing cow urine products on a commercial scale.